This shrine constitutes an ensemble of mausoleums dating back to the 10-17th centuries. It is believed that Sayyid Hassan al-Amir, a fifth generation descendant of Prophet Muhammad’s daughter Fatima and his son-in-law and associate Ali. He became famous as the “Sultan of Sodot” (“Sultan of Seyyids”), found last refuge here. Later on, his descendants and other seyyids were buried on the site. 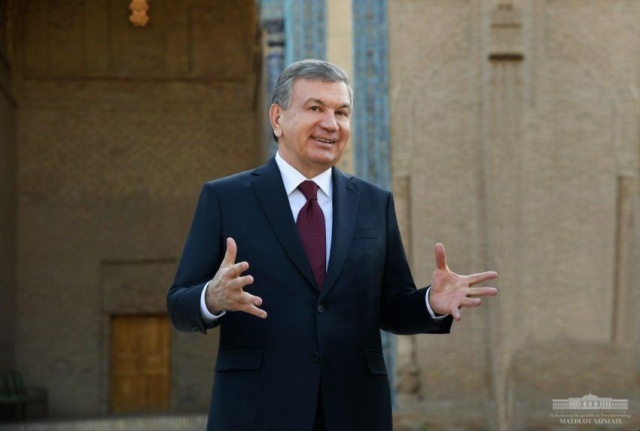 As reported by the Press Service of the President of the Republic of Uzbekistan, the President pointed out that this venue constitutes a unique spiritual heritage, a sacred place for Muslims, therefore it is vital to thoroughly study its history, bring it to the people and foreign public. The Head of the state gave instructions on landscaping the complex on the basis of archaeological research, turning the shrine into an enormous and fine-looking pilgrimage site like the mausoleums of Imam Bukhari and Imam Termizi.